As two measures of success, in 2018 the Financial Times listed the Simon School as No. 44 among business schools worldwide, as well as No. 13 for “Top U.S. MBA Programs for Women”—and No. 21 worldwide. In 2015, Ainslie made the bold leadership decision to cut the total tuition of its prestigious full-time, two-year MBA program by 13.6 percent. The move provided greater transparency of the costs of the MBA to prospective applicants, and properly realigned the Simon School’s place among its peers to become more competitive in the business school marketplace. As a result, both global and domestic applications have risen, and this year—for the third straight year—Ainslie froze the tuition rate for its MBA program. Ainslie came to Rochester from UCLA’s Anderson School of Management where he was senior associate dean of the full-time MBA program. During this tenure, the school increased its admissions by more than 60 percent, increased placements by more than 20 percent, and revised its curriculum. Ainslie was also an assistant and then associate professor of marketing at UCLA Anderson, as well an assistant professor of marketing at Cornell University’s Johnson Graduate School of Management. Before beginning his academic career, he had a 10-year career in business, including as an electrical engineer for AECI (South Africa), sales and marketing for Hewlett Packard (South Africa), corporate finance with Standard Merchant Bank, and marketing and development for Compustat. He received a B.Sc. in electrical engineering from the University of Cape Town in 1983, and an MBA in marketing from Cape Town in 1990. He received a Ph.D. in marketing and statistics from the University of Chicago Booth School of Business in 1998. Rossi was appointed as the second ever Messinger Dean of the Eastman School of Music in 2014, succeeding the late Douglas Lowry. Rossi is well recognized for his efforts in faculty recruitment and his commitment to continuous innovation in Eastman’s music programs. As examples, the Beal Institute for Film Music and Contemporary Media is training the next generation of musicians to score music for film and new media, and the new Master of Arts in Music Leadership degree program is designed for musicians who also wish to develop exceptional managerial, entrepreneurial, and leadership skills. Over the past four years, Rossi has established new partnerships with numerous organizations, including the Gateways Music Festival (2016) to support and promote greater diversity in classical music; ArtistShare (2017) to support and promote student and young alumni careers; the Yamaha Corporation (2018) to create the “Yamaha Fellows Program” as part of a new Eastman Leadership Academy; and several prominent conservatories around the world. Rossi joined Eastman in 2005 as senior associate dean and served as executive associate dean at Eastman from 2007 until 2013. He has served in leadership roles in music for more than two decades, spearheaded significant collaborative educational and community initiatives, and has wide-ranging experience in academic scholarship and leadership, teaching, performance, recording, and fundraising. 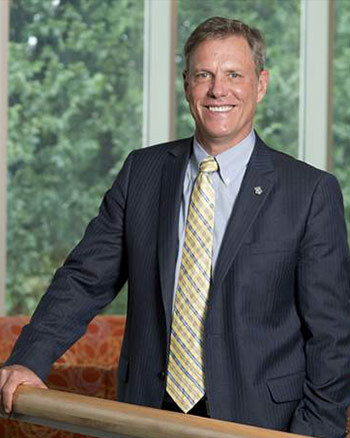 As executive associate dean, Rossi was responsible for Eastman’s academic programs and personnel, including faculty hiring and promotions, and for academic and student affairs and enrollment management, among other duties. From 2006 to 2010, he supervised all aspects of the award-winning $47 million project to renovate Eastman Theatre and construct the Eastman East Wing. He also founded RocMusic, a collaborative partnership of arts and education institutions in Rochester to establish a free after-school music program for Rochester inner-city students. 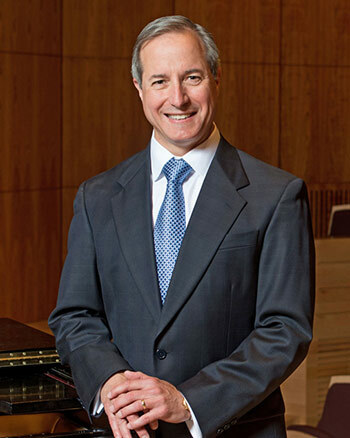 Before joining Eastman, Rossi was the dean of the School of Music at the University of South Carolina in Columbia for five years, as well as assistant dean and then as associate dean of the School of Music at Ithaca College between 1989 and 2000. Rossi earned his bachelor of music degree in music education and saxophone performance at Ithaca College in 1980, his master of music degree in saxophone performance and literature at the University of Michigan in 1982, and his doctor of musical arts degree at Eastman in 1987. An active saxophone soloist and chamber musician, Rossi is featured on numerous recordings. He has given solo recitals and performed with community, college, and military bands and orchestras, including the Rochester Philharmonic Orchestra.